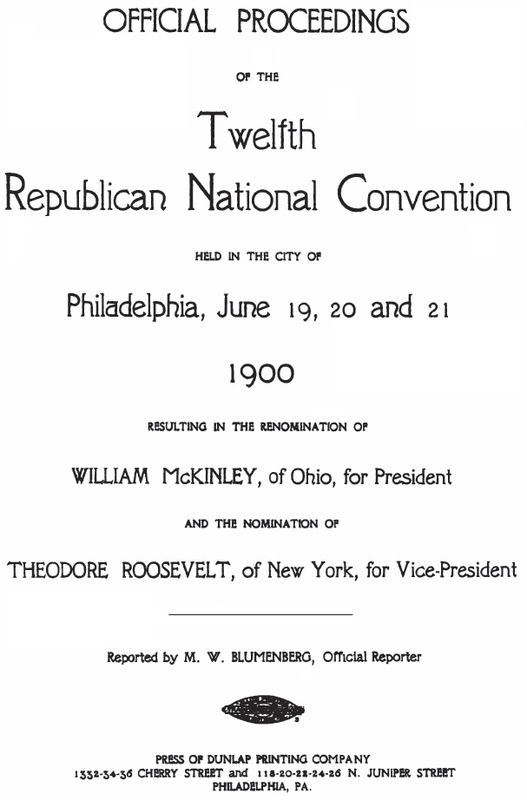 As shown below, the book "Official Proceedings of the Twelfth Republican National Convention" shows Wilson A. Korns as a delegate from New Philadelphia, Ohio. His name is on page 73, in the "Corrected roll of delegates and alternates to the twelfth Republican National Convention as presented by the Committee on Credentials". This convention nominated William McKinley of Ohio for President, and Theodore Roosevelt for Vice-President. Wilson Allen Korns was the son of Captain Daniel Korns of New Philadelphia Ohio, and is described on pages 244-245 of the 1949 book "The Genealogy of Michael Korns, Sr. of Somerset County Pennsylvania".